What can been one of the most challenging things when trying to enhance endurance? I spent last month in Maine and had these grand ideas for increasing my Malinois Knoxx’s endurance through canicross and bikejoring training. Unfortunately, things did not go as expected! Extra hot days, my own achy back, spending time with my parents, and trying to keep up with my online work made it extremely challenging to get the outdoor exercise that I wanted for both of us! When building aerobic capacity, doing cardio activity on an inconsistent basis will not enhance your dog’s performance. It’s one thing to maintain cardiovascular fitness. It’s another thing when you are trying to improve it. I exercise Knoxx multiple times a week and do French Ring training a few times a month. Knoxx was getting a lot of anaerobic exercise, but I needed to build his overall cardio capacity. He could do great in training, but asking him to maintain steady, consistent exercise for 20+ minutes (nonstop) was an entirely different story! Solution #1: Take up canicross for crosstraining and start running with Knoxx on a weekly basis while slowly adding distance to our runs. Problem: I added this to our regular exercise routine and built up to two days of running per week. After a number of weeks of running, however, I was having a lot of trouble increasing the distance and intensity of our runs. Knoxx just didn’t have the proper conditioning to advance when we only did canicross running twice a week. Solution #2: I needed to increase the number of days that we ran. I built it up to three days a week. With three days a week, I definitely began to see improvement! This occurred for BOTH of us! Running two days a week I was able to maintain Knoxx's level of fitness while running; however, I was not able to increase his aerobic fitness level until I added a third day of running. Problem: I was doing REALLY well building up our fitness level doing canicross, but then came the warmer weather, traveling out of state for a conference, etc. etc. When I got to Maine and ran with Knoxx a few weeks ago, it was very disheartening. I felt like we had lost all of that conditioning that we had previously gained. Our canicross “run” became a lot of “run + walk” with both of us struggling. Solution #3: Life happens! And when this happens to you, don’t give up! Readjust as needed, set a new plan, and get back at it again as soon as you can. The secret here is CONSISTENCY!!! Understanding how important consistency is can help motivate you to get back on track and out the door when you aren't feeling motivated to work and train. And don’t feel guilty and beat yourself up over it!! Life gets in the way! This is normal. The best way to get back on track is to sit down, block out the time that you need for exercise and training, put those goals down on paper, and get to it! Also don't forget, RETURN GRADUALLY back to activity! 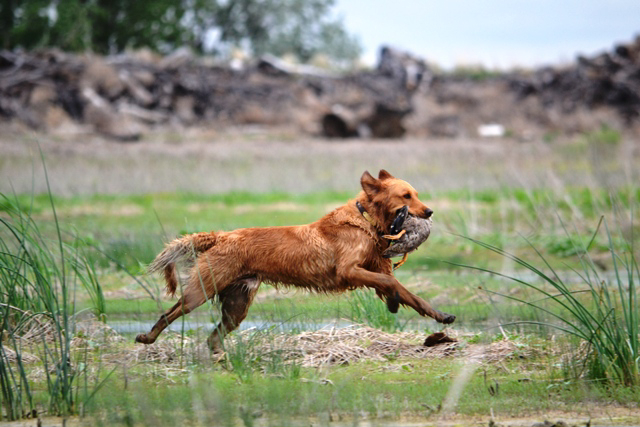 A common rule of thumb is increase the workload no more than 10% at one time, and give your dog plenty of time to adjust to the new routine before making it more challenging. If you are only up to two days a week for a particular exercise, give your dog a few weeks to adjust before adding an additional day. Also, always build up your foundation in distance or time before increasing intensity, adding hills, or doing high intensity interval training. Alway get that solid foundation first! Remember your dog needs time to adjust! The body needs time to adapt to increased activity and any changes that you make. Have faith that if you keep it up and stay consistent, you WILL see improvement soon!